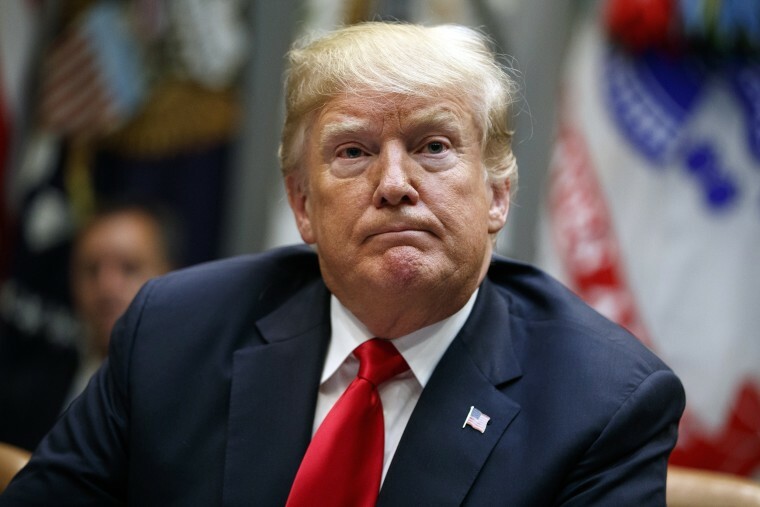 Officials hope the declassification review will happen, but express private outrage Trump and allies want to spill secrets for apparent political purposes. WASHINGTON — U.S. intelligence officials, blindsided by President Donald Trump's order that they make public highly sensitive files in the Russia investigation, are hoping the White House will allow them to conduct a formal declassification review and damage assessment before they are forced to release the documents, current and former officials tell NBC News. Senior executives at the FBI, Justice Department and Office of the Director of National Intelligence were scrambling Tuesday to respond after being taken by surprise by a White House press release Monday directing them to release classified material they had previously determined should not be made public. At issue are documents the FBI used to convince a federal judge in 2016 to allow electronic surveillance of Carter Page, a Trump foreign policy adviser with ties to Russia. Parts of that surveillance application were released in July, but much was held back for national security reasons. Trump ordered some of that still-secret material released, as well as classified reports of all FBI interviews in connection with the application. Trump also ordered that the FBI release text messages sent and received by law enforcement officials he believes were working against him, including former FBI Director James Comey, former Deputy Director Andrew McCabe, former FBI employees Peter Strzok and Lisa Page, and current Justice Department lawyer Bruce Ohr, a Russian organized crime expert. Sent on unclassified systems, the text messages should not contain Top Secret material. The FBI interviews in particular, however, could discuss sources in Russia, the release of which could be extremely damaging, former senior intelligence officials who served under both Republican and Democratic administrations told NBC News. In response, the Justice Department and the FBI announced Monday they would begin a declassification review of the material. That struck some intelligence officials as a stalling tactic, given that the president is the ultimate declassification authority, and he has already directed that the documents be declassified. "What's to review?" one intelligence official wondered to NBC News. But officials remained hopeful Tuesday that the White House would allow the declassification review to go forward, even as they expressed private outrage that Trump and his allies in Congress were seeking to disclose secret information for what appeared to be purely political purposes. Officials said it was unclear how long the review would take. One challenge is that Trump ordered the release of only those text messages related to the Russia investigation. That will require the FBI to sort through tens of thousands of messages to figure out which ones apply. The political context of the move by Trump was made clear in a Sept. 13 speech by Rep. Devin Nunes, the California Republican who chairs the House Intelligence Committee. "We need the president to do some more declassification," Nunes said to a sympathetic audience of Trump supporters. He explained that the fall election is "not going to be just about economic growth and running on the economy. It's going be about what the other side did to play dirty, to dirty up a campaign … by corrupting the FBI and the DOJ. That is important for the American people to know as we have to deliver that message going into October, and I am very, very hopeful that the president will make these additional declassifications over the coming weeks." Trump's directive matched, page for page, the documents Nunes and other Republicans said they had been seeking. "This is not committees, this is Mark Meadows and Jim Jordan and a couple other members of Congress — who by the way haven't reviewed the information the way members of the Intelligence Committee have — but are just going to do everything in assisting the president's delegitimization of the Mueller investigation," Rep. Jim Himes of Connecticut, a Democratic member of the House Intelligence Committee, said on MSNBC's "Morning Joe." Several senior congressional Republicans — including House Speaker Paul Ryan and House Oversight Committee Chairman Trey Gowdy — declined to comment on the president's move when asked by NBC News. Although Nunes has not personally read the surveillance application, according to multiple U.S. officials, he and Trump believe it will show that the FBI relied too heavily on information gathered by a former British intelligence officer who was being paid by Democrats. But one person who has read the documents — Sen. Mark Warner of Virginia, ranking Democrat on the intelligence committee — suggested they would be more damaging to Trump that he realizes, given that they support an extraordinary move to conduct surveillance on a member of his campaign. "Be careful what you wish for," Warner said. Former intelligence officials were dismayed by the president's move. "Declassification decisions should be considered outside the zone of politics, so any suggestion that they are tainted by political considerations is a pretty disturbing precedent," said Nick Rasmussen, an NBC News analyst who was a senior counterterrorism official in both the Trump and Obama administrations. Speaking on MSNBC's "Andrea Mitchell Reports," John Brennan, who was CIA director under Obama but also served as an intelligence official during Republican administrations, said it was "highly inappropriate and unethical for Mr. Trump to the take any action that pertains to the FBI criminal investigation of Russian collusion and cooperation with Russia during the election, of which Mr. Trump and close associates are subjects." Brennan, whose security clearance had been revoked by Trump, added, "He certainly has the authority to do it, but I do think it's highly inappropriate, and I think everybody who knows these issues feels similarly." Meanwhile, Trump said on Twitter that the documents would show there was no basis for the surveillance of Carter Page, his campaign aide. "Really bad things were happening, but they are now being exposed," Trump wrote. "Big stuff!"